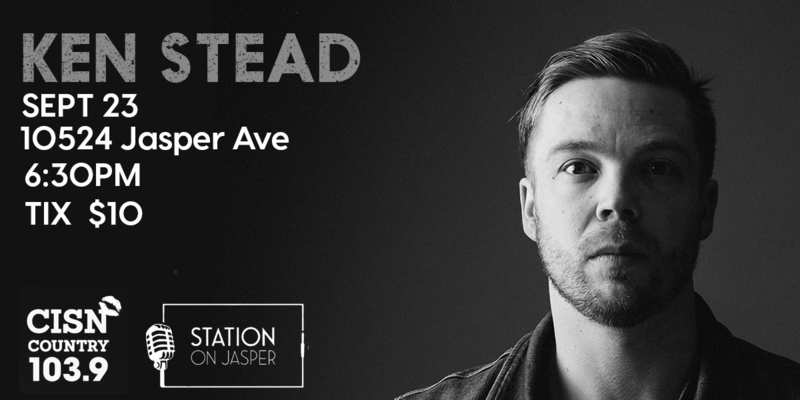 Station On Jasper presents a Country Sunday Nights headliner.... Ken Stead. Ken Stead has spent the last two years playing over 200 shows, including such festivals as Edmonton Folk Music Festival, Canmore Folk Festival, North Country Fair, BVJ and Come By The Hills. Show starts at 8:30, but come in early for some great food and drinks.